Ryan Maunder has suffered occasional migraines for the past two years. When they come on, the 11-year-old experiences intense headaches that often lead to vomiting. Chronic pain like Ryan's is thought by researchers to affect 15 to 20 per cent of kids. According to Dr. Patrick McGrath, a psychologist and vice-president of research at the IWK Health Centre, about five per cent of children suffer from chronic pain at a level that interferes with normal development, impacting school, family life and relationships with peers and friends. "Those are the kids in significant need of assistance," he says. "We wouldn't survive without pain," he points out. "It's a very effective warning signal that we've touched something hot, that a knife is sharp, or our fingers are freezing. It's such an important system that nature has made it very robust and redundant. It's good, except when it goes wrong," he says. In the mid-1990s, the American Pain Society set guidelines for the monitoring of pain as "the 5th vital sign." The guidelines suggest that physical examinations should include a routine pain assessment-in which patients report their pain levels on a scale from zero to 10-along with the usual assessments of pulse, blood pressure, respiration, and heart rate. Because young children may not be able to communicate readily, their pain is sometimes measured using a scale that employs illustrations of a range of facial expressions, representing no pain to very much pain. 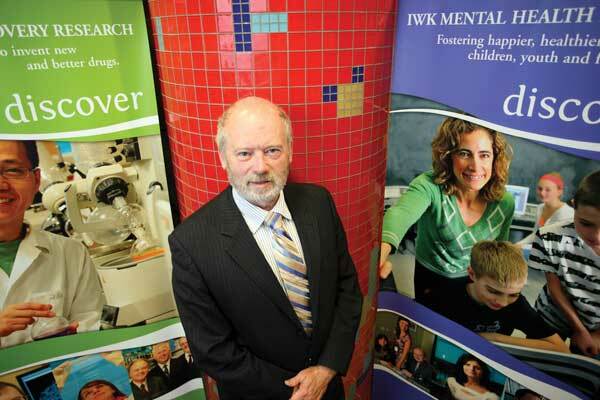 Dr. Patrick McGrath, psychologist at the IWK Health Centre, acknowledges that pain assessment is something that is sometimes overlooked by doctors. "We know health professionals should do it, but we know that they don't always." It's hoped that routine pain assessment will ultimately improve the quality of pain management in patients with chronic pain. "Pain gone wrong," or chronic pain, often results from surgeries, medical procedures or disease, or may persist long after an injury has healed, but sometimes the cause is unknown. Children's headaches, stomach aches, limb and back pain can be difficult to diagnose, especially in patients who have trouble communicating their pain, such as the very young, or those with compounding conditions like spina bifida, developmental delay or cerebral palsy. But even when the root cause is unknown, people suffering from chronic pain often report being physically and mentally debilitated by it. "It is a burden. It doesn't give up easily and is hard to manage," says Dr. McGrath. For kids with chronic pain, the Pediatric Pain Management Program at the IWK provides inpatient and outpatient complex pain clinics. The interdisciplinary team includes anesthesiologists, nurses, psychologists and physiotherapists. Dr. McGrath explains that the first step is to make sure there is no underlying pathology, such as inflammatory bowel disease or osteosarcoma (malignant bone tumour). "The challenge becomes when they don't have anything seriously wrong with them," he says. "What is wrong is the pain. We want to teach our children how to manage pain so it doesn't interfere with normal life." On his physician's advice, Ryan's parents have tried to identify and reduce his exposure to the things that can trigger his headaches-in his case, the smells of certain foods. When he gets a headache, "he'll lie in a quiet room, eventually fall asleep and wake an hour later feeling fine," says Ryan's mother, Sharon Maunder. She says he hasn't missed school due to his migraines, but has missed ice time during hockey games when his head hurts. This past spring, Ryan also began complaining of back pain and had back spasms that temporarily made walking difficult. Medical tests were inconclusive. Dr. McGrath says parents whose children have chronic pain with no underlying pathology should adopt a three-pronged approach: they should have high expectations for their child's ability to continue to have a normal life; provide warmth, support and encouragement, and try to reduce the child's anxiety; and teach their child coping skills, which might include helping them recognize and avoid pain triggers such as loud noises or bright lights. Dr. McGrath tells parents to intervene in whatever way they feel is appropriate, and says most parents intuitively know what's best for their children. That might mean a bowl of chicken soup, over-the-counter or prescribed pain medications, or no special attention at all. "Too much attention, over-solicitousness for pain, is not gain. You've got to balance being tough with being compassionate." Still, Sharon Maunder says having a child who is in pain can be tough. "I wouldn't wish it on anybody."